I literally can’t imagine working without it. It’s a little bottle of magic; perfect for pre-cleansing, erasing makeup mistakes and sharpening winged liner. So what is it? Micellar water is a cleansing solution made from micelles, which attract impurities from your skin. The tiny oil particles are suspended in water and can dissolve makeup and oil in seconds. The best thing? All you need is a cotton pad. Simply wipe gently and pat dry. No rinsing, no rubbing, no eyelash pulling, no alcohol, no residue; just easy, simple cleansing. How to use it. As a makeup artist, I use micellar water at the beginning of a makeover to ensure there are no traces of makeup or oil on the skin. I also use it with pointed cotton buds to perfect liner and lipstick. In my personal routine I use it as my first cleanse, followed by a second cleanse with a cream cleanser and a flannel. I also take it on holiday (decanted into a smaller bottle) to reduce the amount of skincare I need to pack. Recommended products. 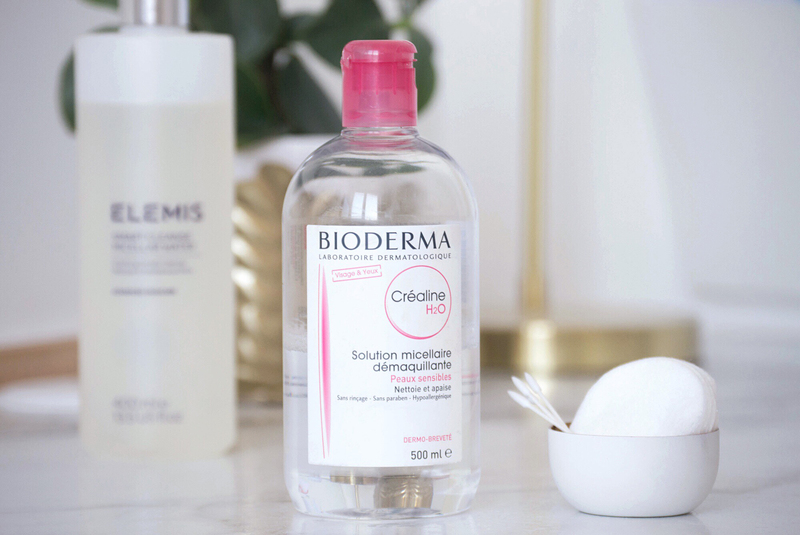 I’ve tried a lot of micellar waters but I always come back to Bioderma (Elemis and Nivea come second and third). It leaves your skin clean and fresh without a harsh, tight feeling. They have a few versions available for different skin types. Sensibo H2O – The original. Perfect for sensitive, dry, normal or combination skin. Sébium H2O – Designed for oily skin, it’s fabulous at removing excess oil and impurities. Another plus is the inclusion of zinc gluconate, which is an allied power if you’re at war with acne. Hydrabio H2O – For dehydrated skin. It stimulates the water levels in the skin as it cleanses.